Financial Times-A wave of anti-government protests and the imposition of a state of emergency has triggered a collapse in tourism bookings in Ethiopia, underlining the effect the unrest is having on one of Africa’s best-performing economies. 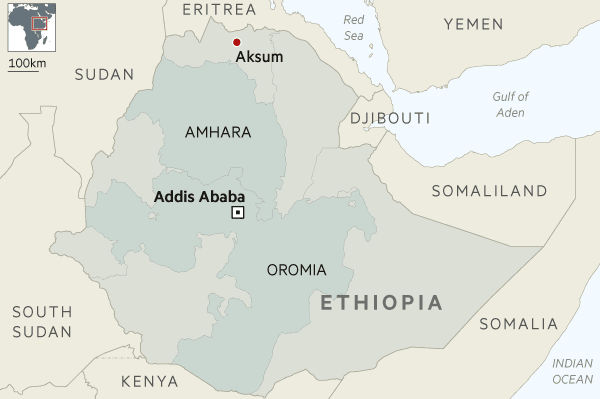 Some travel companies said one problem is that while some of Ethiopia’s most popular sites — such as the city of Aksum — are not in Amhara or Oromia, people have to travel through those regions to reach them. Emma Gordon, an analyst at Maplecroft Risk Briefing, said such statements “come across as unbelievable”.